I've had an earache ever since I got over the flu and strep. Doctor said to take allergy pills and flush the wax out..which I did and it didn't work. Got very little sleep so went and got some Hyland ear drops and putting warm compress on..took an Advil sinus congestion pill...waiting. Any remedies that work? I have to help my son move today...need this to go away! Sweet Oil will ease the pain . A little warm olive oil will do the same . Peroxide will kill the infection . Thanks guys...and thanks for not telling me to blow smoke in my ear or duct tape a tomato slice to it. ( yes, I've heard that). The drops I used seem to be easing it "some" but I'll try these suggestions as well. Last edited by presence; 02-26-2017 at 10:31 AM. A hot sauna. If you don't have a sauna available, blowing hot air from a hair dryer on and around the aching ear can provide some relief. It opens up the blood flow, increases circulation and helps drain away any built up fluid, removing the stuffed ear feeling. Last edited by AZJoe; 02-26-2017 at 12:03 PM. I make my own infused oils to keep on hand for such reasons. However you can buy it already made. Just make sure anything you put in your ear, you warm it a bit. USE THIS SITE TO LINK ARTICLES FROM OLIGARCH MEDIA:http://archive.is/ STARVE THE BEAST. I use hydrogen peroxide and a q-tip as well, I don't freeze it, haven't heard of that, I just do it *very* carefully. Probably a good reason for freezing though. Get a prescription for TobraDex. It says it is for eyes, but you can put it in your ear. Historically, I would have a couple of ear infections every year. Swimmer's ear. They were really bad. Finally, went to a very good ear, nose and throat doc. Prescribed TobraDex. Whenever I feel an earache coming on, I put a few drops of that in my ear and voila, it's all cleared up. It is leaps and bounds better than that crap they typically prescribe you when you have an ear infection. Seriously, I swear by this stuff. then put two fingers in front of each ear and two behind, at about the top of your ears and pressing firmly, pull downward to about the middle of the neck. this should drag crud from the Eustachian tubes down.. Sounds like something I would try and talk my little Grand Daughters into . wearing tomato slices all over the head . Its all fun n games until Mrs O shows up, LOL. Hope you feel better. I agree with this one and glad that opal wrote it out instead of me having to do it. Any time I feel a cold or something coming on, I soak each ear with hydrogen peroxide for 5-10 minutes. It feels good and I think it helps. Get a prescription for TobraDex. I know the stuff I bolded helps. I'm not saying the others don't, I've just never tried them. I also buy the Similasan ear drops (coupon at link) on occasion and they help, too. ^^^My mom's ENT has her putting olive oil in her ears and he made a big deal about warming it a bit before dropping it in. I know the stuff I bolded helps. I'm not saying the others don't, I've just never tried them. I use it like once or twice a year. A couple of drops of that vs. ear wicks, because my ears have become infected/swollen and no medicine can go down in there, the whole side of my face swelling up, etc. But hey, what do ear doctors know. I'm sure you know more. If you want to warn people about something, it should be using hydrogen peroxide in ears. A friend of mine, who was the head of the Audiology dept in a university, cautioned me about using hyd peroxide, as it can damage your hearing. Last edited by LibertyEagle; 02-26-2017 at 10:54 PM. But hey, what do ear doctors know. I'm sure you know more. My wife is deaf in one ear; has had ongoing ear issues since childhood; growing up in home with two indoor chain smokers. She's been prescribed that product in the past. I've read the warnings that came with it and researched the lawsuits. tobramycin is neurotoxic, nephrotoxic, teratogenic, and suppresses immune response to fungal and viral infections; and can cause 'irreversible neuromuscular paralysis": These warnings are in "BLACK BOX". 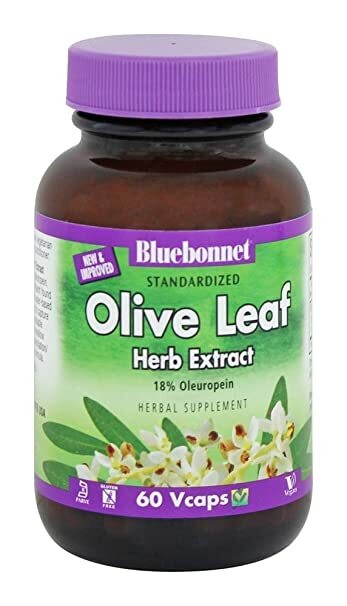 olive leaf works; its systemic oral treatment; nothing has to go in your ear hole... plus its neuroprotective, anti-cancer, anti-viral, anti-fungal, anti-inflammatory, anti-diabetic, fights endothelial dysfunction, and attenuates liver damage. my only caveat is it can lower blood pressure, so I always take half a pill at a time as my blood pressure is already pretty low. It can also cause Herxheimer reaction... but that simply suggests that the patient is having an good response; microbes are dying en masse. I also have a tendency toward ear infection as I have narrow very hairy canals prone to capture moisture in the shower. Last night I was actually having that impending "ear ache" feeling. I took half an olive leaf. I'm fine this morning. I strongly suspect if more people knew about oleuropein and took self responsibility there would be far less demand for ear/nose/throat visits to state sanctioned and financed pharmaceutical salesmen; "doctors" as you call them. Last edited by presence; 02-27-2017 at 09:03 AM. And most people know that due to our litigious society, that drug companies list every remote thing; regardless of likelihood. For me, I'll take a couple of drops of this every year, over very bad double ear infections, year after year. That said, I do put a diluted mixture of rubbing alcohol in my ears after showering. In a lot of cases, that keeps the problem from occurring. But, if it does, I'll use Tobradex. Damn straight. It is far better than the side of my face swelling, requiring antibiotics, ear wicks and ear drops that take over a week to work. But, if what you are doing works for you, congrats. Open your jaw as wide and as relaxed as you can, slightly move your jaw forward, rub DOWN from just below the ear to your throat. That helps to clear the Eustachian Tube. Pushing up would increase pressure in the ear so be sure to softly press and move fingers down. May or may not help you but it did for me when I was a kid with earaches. Thanks for all the advice. Havent had a chance to go get any herbal remedies. It still hurts. I wonder if flushing it out with that Debrox stuff did something. I did get some wax out but dang it's sore. Nothing is really helping. Warm virgin olive oil (3 or 4 drops) will should help. 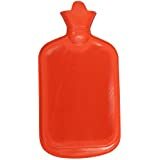 Hot water bottle - use the hottest water you can get from the tap ~115 degrees. Wrap the hot water bottle with a towel - make sure its comfortable! Adjust how full and how hot based on how it feels over a few minutes. Once you get the temp and firmness down, lay your bad ear on it and watch some cspan (cspan1, cspan2, cspan3 - doesnt matter). When I was a child, I had ear aches... I suppose now that I'm an adult I would add to this remedy to have your ear checked by a medical professional if symptoms persist. Not to terrify anyone, but 10 years ago I had a neighbor who had an ear ache for a week - it turned out to be an infection that later spread to his brain. He woke up in the night and was dizzy - he then fell to the floor and was gone the next day.